The Madison 24 in. X 32 in. Poplar framed mirror features a Tobacco finish with strong decorative lines. It matches the Madison vanities for a coordinated look and includes mounting hardware that makes levelling easy. The mirror hangs horizontally and vertically. Emma 28 inch Mirror in White The Emma 28 inch mirror embraces purity of design and masterful construction. 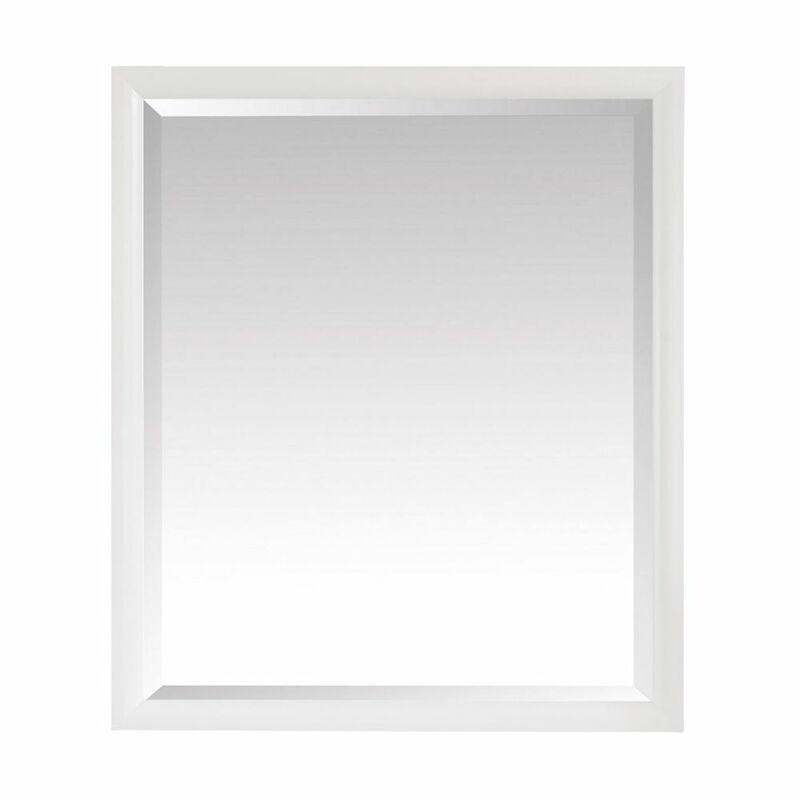 The mirror in White finish brings to life the collection's simple, clean lines. It is constructed of top quality and includes a wall cleat for easy hanging. The Emma mirror completes your bathroom decor with the Emma vanity.